The RSA7100A wideband signal analyzer offers real-time spectrum analysis up to 800 MHz bandwidth and simultaneous streaming of seamless data at full bandwidth. It enables researchers in communications, Radar and Electronic Warfare to create next-generations designs. 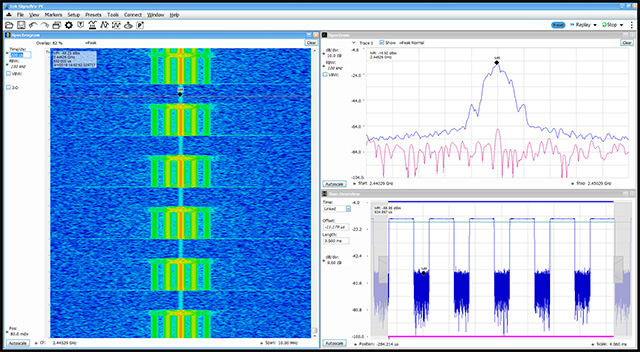 You won’t miss signals you need to see with the ability to trigger on and measure signals of 350 ns duration in frequency domain in real time. 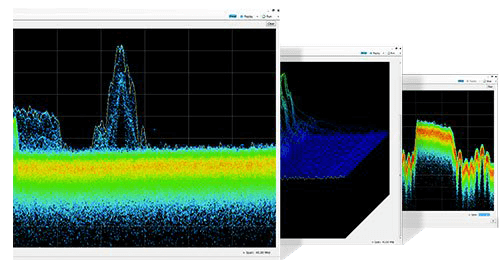 With higher streaming bandwidth and dynamic range than other spectrum analyzers, the RSA7100 allows you to complete analysis tasks faster with high confidence. 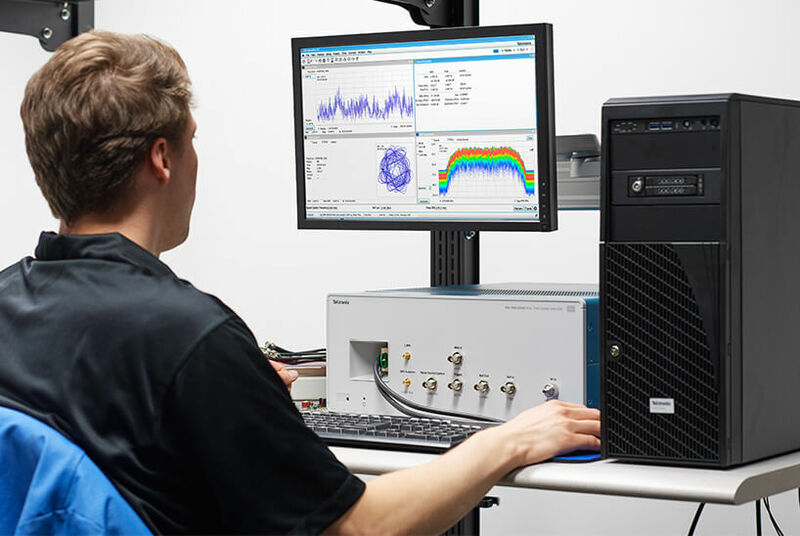 The RSA7100 now comes with real-time recording and signal processing with IQFlowTM, ensuring you are getting the data you need from time-consuming test scenarios. Learn more by downloading the IQFlowTM flyer below. 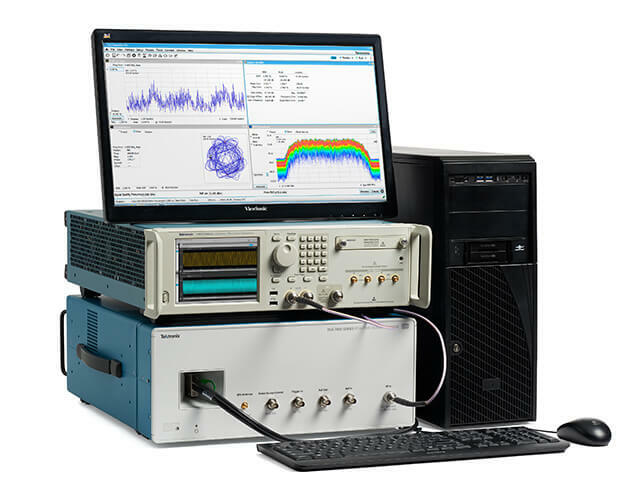 The RSA7100A is powered by SignalVu-PC Vector Analysis software – the same software used on the full-line of Tektronix Real-time Spectrum Analyzers – delivering unlimited access to advanced measurement and analysis capabilities that you can save, customize or share with peers. Powerful tools to simplify your work. 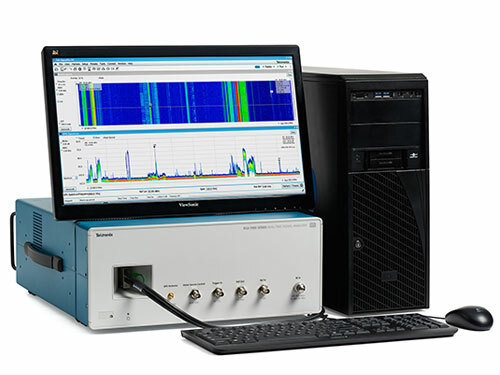 The RSA7100A delivers the tools to enhance your analysis capabilities with an optional GPS receiver and full set of application optimized software licenses including pulse analysis, GP modulation analysis, settling time, commercial standards (WLAN, Bluetooth, LTE), Signal Classification, and more. SignalVu-PC brings power and versatility to the new 7100 Series. The base version ships free with the product. 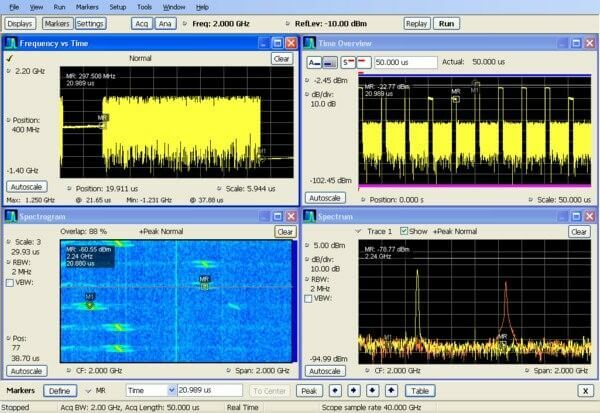 Options may be added for pulse analysis, GP modulation analysis, settling time, commercial standards (WLAN, Bluetooth, LTE), Signal Classification, and more to configure the software for your application. 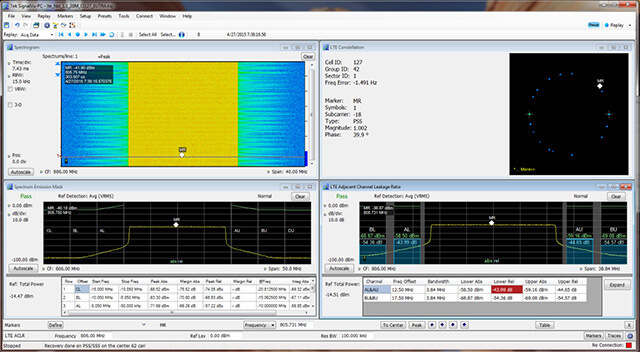 DataVu-PC software performs search and mark on signals of interest from recordings captured by Tektronix RSAs. 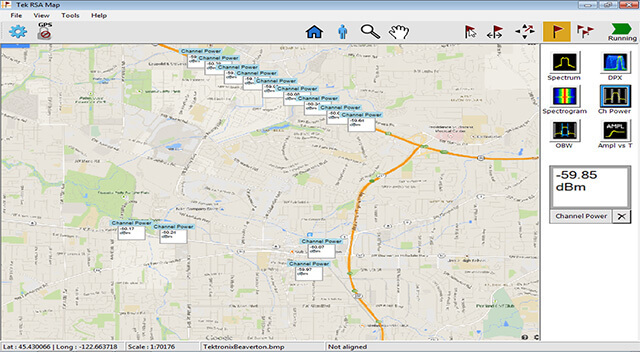 Areas of interest can be exported to SignalVu-PC and other analysis tools for deeper analysis. Save time with automated search of large files and enable multiple offline users to access the data with Datavu-PC. 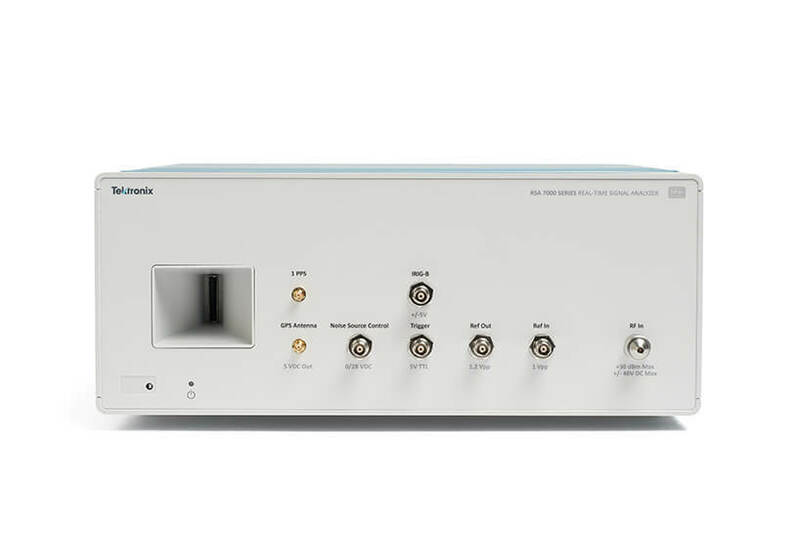 RSA7100A Spectrum Analyzer Datasheet The RSA7100A wideband signal analyzer offers real time spectrum analysis up to 800 MHz bandwidth, simultaneous streaming to multiple interfaces for record (up to 2 hours) and playback of seamless data at full bandwidth. This document helps customers with data security concerns to sanitize or remove memory devices from the CTRL7100A controller and the RSA7100A Real-Time Spectrum Analyzer. IQFlow™ provides IQ streaming for the RSA7100A. It allows you to use the analyzer as a down-converter and then pass the down-converted baseband IQ signals to external equipment or locations for either additional processing or storage. This document provides the API function calls that allow users of the RSA7100A Real-Time Spectrum Analyzer to use the IQFlow streaming API feature. RSA7100A Series Real-Time Spectrum Analyzers …This document describes how to install the CTRL7100UP-X-RAID-B and X-RAID-C options in the CTRL7100A controller for the RSA7100A Real Time Spectrum Analyzer. This document provides instructions for how to install the 016-2124-00 Rackmount Kit onto the RSA7100A Real-Time Spectrum Analyzer.